Compiled by Jeff Pistola with thanks to Stan Evans. 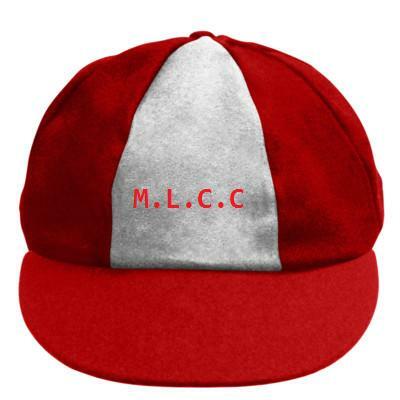 The origins of the Mt Lofty Cricket Club were established with the creation of the Heathfield Cricket Club in the 1966-67 season of the Hills Cricket Association. Prior to that, historical records indicate that various social matches back in the 1930s featuring a side known as ‘Heathfield’ took play on the old recreation ground which disappeared with the development of the Heathfield High School. Cricket matches were held between the locals and a number of teams which would journey to the nearby Mt Lofty Railway Station then negotiate the short distance to the ground. Matches also included a strong social aspect, with much ‘goodwill’ discussed over a keg of beer before the visitors launched into the journey back down to the Adelaide Plains. 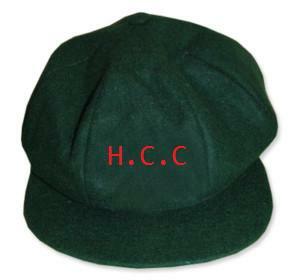 Cricket then lapsed as a major sporting club in the Heathfield area until the formation of the HCC for the 1966-67 season, adopting the colours of red and green. Boosted by the recruitment of some quality players from surrounding towns, Heathfield made an immediate impact on the competition, winning both the A-grade and B-grade premierships in its inaugural season. The B-grade gained a further flag in 1971-72, while the A-grade continued to be at the competitive end of the ladder, playing in a couple of grand finals during the mid 1970s, while junior teams had been introduced with periods of success. In the summer of 1979-80, the club opted to change its name to Mt Lofty, perhaps a move to fall in line with the district’s recently merged football club comprising Heathfield-Aldgate United and Stirling. Under a new banner, the cricket club again proved to be a force in the Hills association, winning A-grade premierships in 1985-86 and 1988-89. The club has continued to gain success at under-age level, and with the transition of talented young cricketers through the system, together with the addition of some quality recruits, the Lofty Redcaps have began to once again emerge as a respected and competitive force at senior level. From a rich heritage which has featured names such as Kelley, White, Bruce, Evans, May, Foster, Weatherald, Chaplin, Carthew, Penny, English, Krueger and Sanders, through to current captain Mark Sinclair, who in 2012-13 became the first Mt Lofty player to win the coveted HCA ‘Cricketer of the Year’ award, the Redcaps will continue to provide a strong club base as the club moves towards celebrating its own half-century. Club life member Andrew Carthew has compiled the following recount of the successful 1985-86 season, after locating scorebooks from the campaign. This provides a great insight into the club's rise from runner-up in 1984-85 to top of the pile the following season. There were high expectations at the start of the 1985/86 season that the premiership drought would be broken after the team finished second in 1984/85. And although the margin in that game was significant, the 84/85 team had beaten Lenswood in the semi finals to prove that it was capable of going onto bigger and better things. Robert Penny was again captain while the team welcomed Grant Pettigrew to the group, and his influence over the season was to prove significant. The team played its first game of the year away from home against Hahndorf at Hahndorf. Hahndorf batted first and Mt Lofty managed to stay on top of them all day with only Mark Trafford-Walker (58) offering any resistance. In the end, Hahndorf were bowled out for 136 in 59 overs. Hayden Krueger was the pick of the bowlers taking 4-35 off 19 and Pettigrew and Iain Evans also picking up 2 apiece. Mt Lofty managed a tricky period to stumps to be 0-10. The start of the second day did not begin well with the team falling to be 3-21 before a partnership between Iain Evans (62ret) and Phil Sanders (59) of 104 put the game out of Hahndorf’s reach. The middle order then cashed in with Pettigrew making 43 and Dave Graddon 26. Andrew Carthew ended up not out on 3. There was a single change to the team with Carthew out (at Melbourne Cup week) being replaced by past captain Richard May. Lenswood had the services of ex-Victorian opening bowler Ross McLennan. Once again the opposition batted first and Mt Lofty held them to a low first innings score, with Lenswood being bowled out for 129 in 55 overs. Krueger with 3-31 off 12 and Penny with 6-27 off 15 were the pick of the bowlers. May and Barry Earl were sent out to open and at stumps the score was 33 without loss off 10. The second week saw Mt Lofty knock off the required runs in 24 overs for the loss of two wickets, May (38) and Earl (25) put on a 70 run opening partnership, before Evans came in and knocked up a quick fire 40. Mt Lofty declared at 2-134 and sent Lenswood back in. Unfortunately Lenswood were not to be out done and finished the day at 2-112 off 41 overs. All in all a good solid start to the season with 2 wins on the board early. Two changes for the game were made with Carthew and Ian Westley coming in - replacing May and Evans. Scott Creek was captained by Harvey Dawes. Once again, Mt Lofty were in the field to start the game and when Scott Creek had slumped to 8-65, it looked like would be early drinks again for the bowlers. However, Dawes (24no) and a young Shane Wissell (42no) lasted until stumps, and the Scott Creek score was 8-142. Penny was the pick of the bowlers with 5-20 off 23 with 10 maidens. Krueger also chimed in with 2 wickets. The second week saw Trevor (Snappy Tom) Nairne - who was also the wicket keeper, come out of his shell opening the batting with an explosive 80 - including four 6’s and eleven 4s. Such was his dominance, that when he was dismissed - the score was 2-102. Pettigrew made the most of the fast start by making 110 of his own, with support from the lower middle order from Ian Hill (18), Carthew (20) and Westley (15). Mt Lofty batted out the day and finished with 296. Things were looking good with 3 wins from 3 outings. For this round May and Peter Darley replaced Nairne and Earl. Mt Lofty batted first and made 218 off of their 65. After being in some trouble at 5-117, Sanders (84) and Carthew (14) steadied the ship with a partnership of 72. Pettigrew (38) and Graddon (26) also played solid innings. On the second day, Ironbank started very well until Fred Evans was first out at 74. Once that partnership was broken, Ironbank fell away quickly to be all out for 143. Penny took 5-58 and Krueger 3 wickets. With one game to go before Christmas, Mt Lofty were sitting very strong at the top of the table. OUTS: Darley and Tim Bull who had played in first 4. Onkas batted first and Mt Lofty were all over them, bowling them out for 87. Wickets were shared with Krueger 4-20, Penny 3-34 and Evans 2-10 getting the best of the figures. This left Mt Lofty with a tricky batting period where they ended up at 2-28 after being 2-11 with Carthew being sent in as night watchman late in the day. Second day began well for Mt Lofty with May (49) and Carthew taking score to 79, before Pettigrew (19) and Carthew added 55. Penny joined Carthew and the pair put on another 85, before Carthew fell narrowly short of his maiden century for 93 - with the score at 218. Penny ended day making 119 and Mt Lofty were convincing winners - finishing the day at 6-332. After five rounds with the Christmas break arriving, the season was coming down to potentially another showdown between 84/85 premier Uraidla and Mt Lofty. The team went into this game unchanged. Mt Lofty batted first and had a day out - lead by skipper Penny who compiled a phenomenal master class of 223 not out. He was ably supported in partnerships of 101 with Pettigrew (46) and 147 with Sanders (48). Mt Lofty ended the day at 5/380, making it two games in a row without being bowled out and making over 300. Meadows replied and were in some early trouble at 6-88, before a rear guard action saw them make 185. Pettigrew was pick of the bowlers with 3-29, while Carthew and Penny both snared 2. Mt Lofty batted again to be 0-33 at stumps. This gave the team 6 wins on the trot. Mt Lofty batted first and made 4-218 off their 35. Pettigrew (81), Penny (41) once again were on fire, but were well supported by May (30), Nairne (22) and Evans (29). In reply, Uraidla were never in the hunt, eventually finishing with 7-126 - having been 7-91. There were two wickets each to Penny and Krueger. The winning run had gone to 7. In what has become a capper tradition, the game against Aldgate had some controversy - with Mt Lofty batting first and Aldgate not completing their overs in time. At the end of play Mt Lofty had struggled to 8-196 with a few players getting starts but no-one going on with it. Carthew was given the opportunity to open and made 40, Pettigrew (38), Earl (39no) and Krueger (32) also contributed. Due to the shortfall in overs, Mt Lofty’s score was inflated to 8-215 - with those extra 19 being critical. Week 2 started with Mt Lofty on top - and at one stage Aldgate had fallen to be 7-66, before some strong tail end partnerships got them to 206 - 9 runs short of the Mt Lofty adjusted score. Krueger bagged another 5 wickets, with Penny and Pettigrew each taking 2. Whilst not convincing, the run was now 8 - but cracks were showing. In a pivotal game for finals preparation, Uraidla batted first and made 174, with only Peter Sutton (61) providing much resistance. Wickets were shared with Evans taking 3, while Krueger and Pettigrew claimed 2 each. In reply, Mt Lofty proved they had learnt from the 84/85 grand final loss, and grinded out the second day to finish at 6-199 against an Uraidla side that gave nothing away. Opener Carthew (54) and Sanders (52no) book ended the innings with support from Penny (37) and Pettigrew (27). Whilst it was only a small win, the game proved that the team had matured and were ready to have a crack under finals like pressure. The winning streak had extended to 9 with only one minor round game to go. In what was to be a very high scoring game, both Stirling and Mt Lofty were having their final preparation for the finals. Stirling batted first and Grant Brooks played one of the biggest innings against Mt Lofty, compiling a score of 174no in leading Stirling to 6-301 on day 1. Krueger with 3 wickets and Penny with 2 were the pick of the bowlers, but it was a tough day in the field. Week 2 saw Mt Lofty go for it with nothing to lose before finishing the day with an impressive 7-311 in the final lead up to the finals. The runs were shared in a good sign for the upcoming finals, with Pettigrew top scoring with 87. Sanders (59), May (37), Penny (35) and Nairne (30) also played key roles and the Red Caps had finished the season undefeated in top spot. This was the third time for the season that the Red Caps had made over 300. Having played one another the week before, the scene was set for a classic final between the two local rivals. Mt Lofty batted first and made a solid, if un-spectacular start to be 2 -102 just prior to tea. The losses of Penny and Sanders on that score however, saw us slump to 4-115 at tea - with Carthew and May still in. This partnership in the end was a pivotal one for the game, with the pair putting on 75 runs which ultimately pushed toward the end as the Redcaps finished the day all out for 236. Carthew opened and was the back bone of the innings - being at crease for 205 of those runs for his solid 72. With May (35), Nairne (34) and Penny (29) also contributing, the Red Caps had set a very challenging score for Stirling off their 65 overs. Stirling were never in the hunt on Day 2 - and when danger man Brooks was removed by Evans, the Eagles had slumped to 7-81. A bit of late hitting saw the score reach 138, but the Red Caps were off to play in back to back Grand Finals for the first time in their short history. Penny was the pick of the bowlers with 5-57 off 23 overs, whilst Pettigrew and Evans both chimed in with 2. Team was un-changed for the Grand Final. Scott Creek batted first and the Redcaps had them under pressure from the start with the score dropping to 5-47 early on. The Scott Creek tail wagged - led by Harvey Dawes with 27, to get the final score to 141 off 64 overs. Bowling again was led by the tireless Krueger who finished with 4-52 off 26, including the first 3. Pettigrew and Penny also had 2. Given the strength all season of Mt Lofty’s batting, the confidence was high on Saturday night that these runs could be made - but 12 months earlier when chasing a small total on Grand Final day, the Red Caps had come up short…would history repeat itself? Day 2 started badly with Carthew and Nairn both back in the shed early and the score was 2-14. Earl and Penny then put on a 50 run partnership to bring Mt Lofty back into the game. This was followed by another couple of 30+ run partnerships and the Red Caps had their second premiership finishing at 5-142. Penny with 49 led the scorers, but was well supported by contributions by Pettigrew (33), Sanders (22no) and May (15no). Earl’s contribution may have only been 8 in the scorebook, but was critical as he was there whilst 64 runs were made and provided solid support to Penny. The team had gone through the season un-defeated and all that was left to do was uncork the champagne…which took a few days, with the stayers lasting until the races on Wednesday!